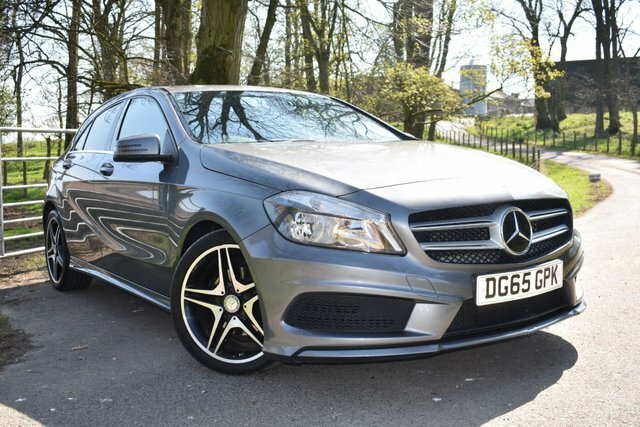 Sammy Lees Motors are delighted to welcome into stock this ONE owner & £30 road tax 2015 65 Plate Mercedes-Benz A Class 2.1L A200 CDI AMG Sport with 136 BHP. Finished in the gorgeous Mountain Grey which is perfectly complimented by Half Black Artico Leather & Dinamica Suede AMG sport seats & 18" 5 spoke AMG alloy wheels. The Mercedes A-Class is one of the most upmarket, high-tech small cars on sale & sits in the premium segment of the hatchback market, going up against rivals such as the BMW 1 Series, Audi A3 and the Volkswagen Golf. This vehicle further benefits from a full detailed Mercedes-Benz service history having been serviced at 13,156 miles, 21,843 miles, 49,881 miles & will receive a full detailed service as well as 12 months MOT as well as 1 years full FREE in house warranty - offering complete peace of bind. This immaculate & high specification vehicle comes with the following : - * Sat Nav, * Bluetooth Connectivity, * Cruise Control, * Auto Headlights, * Chrome Sport Foot Pedals, * Leather Multi Functional Flat Bottomed Steering Wheel, * Climate Control, * Dual Chrome Exhaust, * Auto Stop/Start, * Black Cloth Headlining, * ISOFIX, * Mercedes Benz Handbook Pack, * 2 Remote Control Key Fobs + Much More! The Mercedes-Benz A-Class is a premium hatchback that features elegant exterior styling, and as you'd expect from a Mercedes, a well laid out interior that makes use of quality materials throughout. 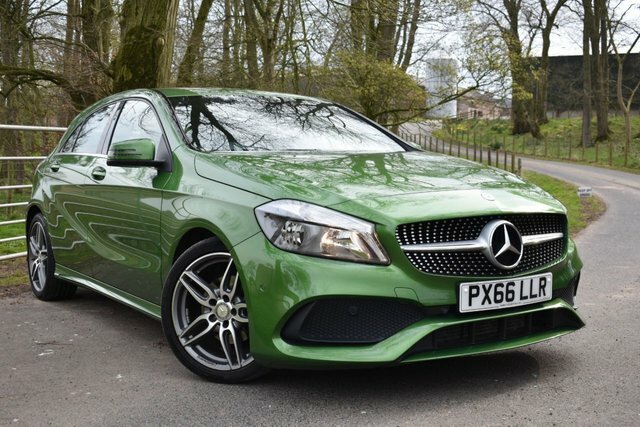 There's a range of petrol and diesel engines available so there's sure to be a used Mercedes-Benz A-Class for sale in Appleby In Westmorland that will suit your lifestyle and individual requirements. Buy a used car from Sammy Lees Motors Ltd and you can rest assured your model will have been put through a rigorous inspection process before going on sale. We're proud to be a leading supplier of quality pre-owned vehicles and will continue to provide a high level of customer service long after you've driven away from the showroom.